If you are a United States lawful permanent resident (green card holder), you have the right to live in the U.S. and travel freely outside of the U.S. However, certain types of travel can put your green card at risk. That is why if you are planning to travel outside of the U.S. for longer than 6 months, you should strongly consider applying for a reentry permit. A reentry permit is a travel document (similar to a passport) which helps protect your status as a lawful permanent resident. In this guide, I will discuss what you need to know to get your reentry permit. If you have any questions, feel free to email me directly at Michael@AshooriLaw.com. I would be happy to answer your questions and to help you apply for your reentry permit. How Long is a Reentry Permit Valid for? A reentry permit is a travel document (similar to a passport) which allows U.S. lawful permanent residents to reenter the United States after extended periods of time spent outside of the United States. The reentry permit creates a legal presumption that a lawful permanent resident did not intend to abandon their status, despite being outside of the United States for an extended period. As a U.S. lawful permanent resident, you can typically travel in and out of the United States without any issues. When returning to the U.S., in most cases, you would use your Form I-551 (Green Card) to re-enter the United States. However, if you’re traveling outside of the U.S. for a year or longer, your Green Card can no longer be used to re-enter the United States. You will either need a valid reentry permit to reenter the United States, or alternatively, you will need to apply for a returning resident visa (SB-1). To understand these concept, lets first discuss some of the rights and obligations of U.S. lawful permanent residents. As a lawful permanent resident, you have several rights, including the right to permanently live and work in the USA. Your status as a lawful permanent resident must be maintained. Failure to maintain your lawful permanent resident status may result in your status being abandoned. One way to potentially abandon your lawful permanent resident status is through extended periods of travel abroad. As a lawful permanent resident, you are permitted to travel in and out of the United States. However, depending on how long you are outside of the United States, you may face certain consequences with respect to your status. If your travel abroad is for 6 months or less (180 days or less), you should typically have no issues when returning to the U.S. Upon your return to the U.S., you are not treated as someone who is seeking admission into the United States. You are not required to prove that you have been maintaining your status as a lawful permanent resident. You can use your Form I-551 (Green Card) to re-enter the United States. If your travel abroad is for more than 180 days but less than a year, you may be subject to inspection upon return to the United States. You may be asked to prove that you’ve been maintaining your status as a lawful permanent resident. If your travel abroad is for a year or longer, upon return to the United States, you must prove that you’ve maintained your status as a lawful permanent resident. Your Form I-551 (Green Card) cannot be used to re-enter the United States. You will either need a valid reentry permit to enter the U.S., or you will need to apply for a returning resident visa (SB-1). What Does a Reentry Permit Do? With a valid reentry permit, you can reenter the United States after staying outside of the U.S. for up to 2 years without having to get a returning resident visa. With a valid reentry permit, there is a legal presumption that you intended to maintain your status as a lawful permanent resident despite lengthy trips outside of the country. What is a Returning Resident Visa? If you are a lawful permanent resident, and you travel outside of the United States for a year or longer without having a valid reentry permit, you will need to apply for a returning resident visa, to reenter the United States. Your green card cannot be used to reenter the country. You were a lawful permanent resident when you left the United States. When you left the United States, you intended to return to the United States. During your trip outside of the U.S., you maintained your intention to return to the USA. Your extended stay outside of the country was for reasons outside of your control. A reentry permit creates a legal presumption that you did not intend to abandon your status as a lawful permanent resident. The government may overcome this presumption by providing “clear, unequivocal, and convincing evidence” to the contrary. So just because you have a reentry permit does not mean that you are guaranteed to maintain your status as a lawful permanent resident. Now that we’ve discussed some basic concepts, lets discuss the benefits of a reentry permit. Travel: With a reentry permit, you can leave the United States for extended periods and reenter the country without getting a returning resident visa. Maintain Status: With a reentry permit, there is a presumption that you did not intend to abandon your status, despite extended periods spent outside of the United States. Travel Document: If you are unable to get a passport from your home country, a reentry permit may function similar to a passport. If you plan to visit a country that will not honor the passport of your home country, you can use the reentry permit as a travel document similar to a passport. If you plan to stay outside of the United States for a year or longer. A reentry permit can be used to enter the US without a returning resident visa. If you spend a lot of time outside of the United States. Even if you do not stay abroad for a year or longer, spending extensive time outside of the USA may be questioned at the border. Your reentry permit will create a presumption that you did not intend to abandon your status. If you cannot get a passport from your home country. A reentry permit can work as a travel document (similar to a passport) allowing you to travel. You must be either a lawful permanent resident or a conditional lawful permanent resident. You must intend to depart the United States temporarily. You must file a Form I-131 and provide all necessary supporting documentation. Your application for the reentry permit must be filed while you are in the United States. You must complete the required biometrics (digital fingerprint and digital photo) in the United States. The first step you should take to get your reentry permit is to hire an immigration lawyer. While you are not required to have an immigration lawyer file your application for a reentry permit, working with an immigration lawyer has many benefits. Your immigration lawyer will review and analyze your situation to determine whether a reentry permit is the right option for you. Through this process, you may find out that a reentry permit is not appropriate for your situation or that an alternative course of action is more appropriate. Your immigration lawyer will also plan and develop a strategy regarding the timeline for when everything should take place. With reentry permits, timing is critical. You are required to be present in the United States during certain key phases of your reentry permit application. Your immigration lawyer will work with you to create a course of action that works for you based on your travel needs. If you have any questions about your specific situation, feel free to email me at Michael@AshooriLaw.com. I’d be happy to answer your questions. Once it is determined that a reentry permit is the correct option for you based on your situation, the next step is to prepare and file the Form I-131. The Form I-131 is also called the “Application for Travel Document.” This is the form used to apply for a reentry permit. This form must be filed while you are in the United States. You should be careful to submit all necessary supporting documents along with the Form I-131. After you file your Form I-131, USCIS will require you to complete biometrics. At the biometrics appointment, you are digital fingerprinted and digital photos are taken of you. Your biometrics must be taken inside of the United States. In very limited circumstances, there are exceptions where someone can attend their biometrics appointment outside of the United States. While there is conflicting language regarding this subject, the prevailing view is that you are allowed to leave the United States once you file your I-131 and return for your biometrics appointment. To qualify for a reentry permit, you must submit multiple documents along with your Form I-131. The documents you need to submit will depend on the facts of your particular case. Please contact me directly at Michael@AshooriLaw.com to discuss your case with you. 7. How Long is a Reentry Permit Valid for? A reentry permit is typically valid for 2 years from the date it is issued. However, in certain situations, a reentry permit is valid for less than 2 years. 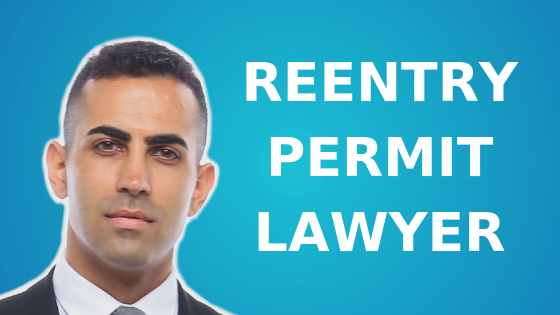 Conditional lawful permanent residents: If you are a conditional lawful permanent resident, your reentry permit cannot extend past the date your conditional lawful permanent residency will expire. So in this case, your reentry permit may be valid for less than 2 years. Lawful permanent residents who have spent considerable time outside of the US: if since becoming a lawful permanent resident, or during the last 5 years (whichever is shorter), you have been outside of the USA for more than 4 years total, your reentry permit is limited to 1 year. There are limited exceptions to this rule. If you are a lawful permanent resident and are planning to travel outside of the United States for a year or longer, you will likely need to get a reentry permit. With a valid reentry permit, you can stay outside of the United States for up to 2 years without abandoning your status as a lawful permanent resident. A reentry permit can also be used to reenter the US after absences of a year or longer, without the need for a reentry permit. If you have any questions about the reentry permit, or if you need help getting your reentry permit, email me directly at Michael@AshooriLaw.com. I’d be happy to answer your questions. Ashoori Law is a Los Angeles based immigration law firm. Got a question? Lets talk. USCIS - How Do I Get a Reentry Permit? 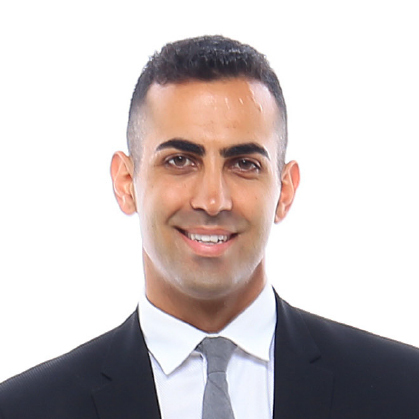 I’m a U.S. immigration lawyer and I help families, professionals, investors, and entrepreneurs get visas, green cards, and citizenship to the United States. Since starting my law firm, I’ve helped people from all over the world with their immigration needs. I’m very passionate, hard-working, and committed to my clients. Ashoori Law | U.S. Immigration Lawyers • Copyright © 2019 • All Rights Reserved. Disclaimer. Contact. Scholarship. Start. Applications. Referral Partners.